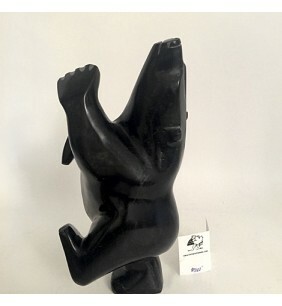 Dancing Bear #59038 by Nuna Parr 15.25"H x 14.5"L x 12"W .. 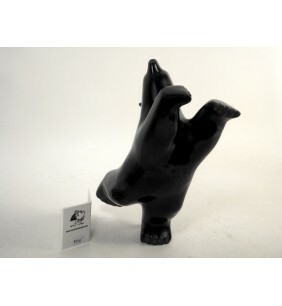 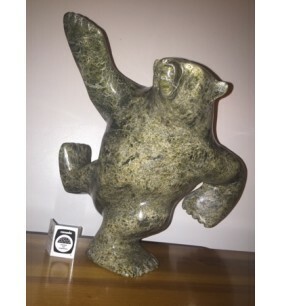 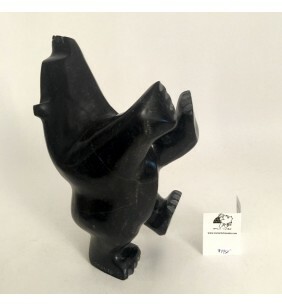 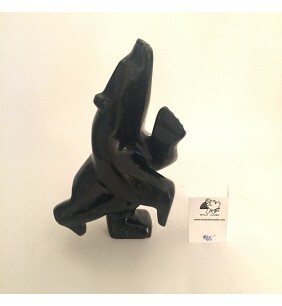 Dancing bear #59160 by Johnny papigatok 4.25"W x 5.5"H .. 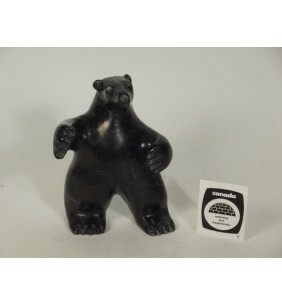 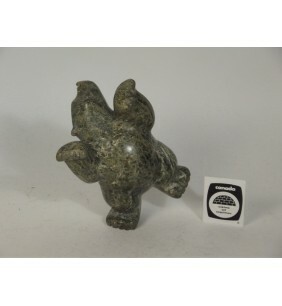 Dancing bear #59389 by Salamonie Pootoogoo 4"W x 5"H .. 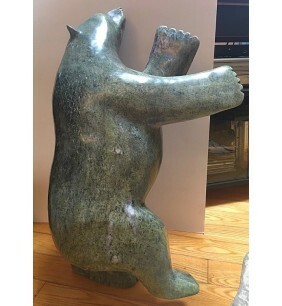 Dancing bear by Nuna Parr 24 H X 15 D X 10.5 W inches ..